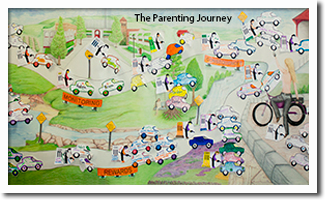 Parenting Inside Out (PIO) is an evidence-based, cognitive-behavioral parent management skills training program created for incarcerated parents through a six-year collaboration of scientists, policy makers, practitioners, and instructional designers. Both the information in the program and the way that information is presented were informed by knowledge derived from research and practice. PIO is good news for inmates, their children and their families. In many instances, inmates who had never had relationships with their children have learned how to connect with them from prison – and after they have been released into the community. Evidence-based practices are becoming the requirement in corrections. But, what does that really mean? According to the Bureau of Justice Statistics, the number of individuals incarcerated in prisons and jails in the United States had reached almost 1.6 million by the end of 2008. One in every 99 U.S.residents is in a prison or jail (PewCenter, 2008). One in every 31 Americans is incarcerated or on parole/probation (PewCenter, 2008). Approximately, 10 million children nationwide have a parent who has been incarcerated. 2.3 million of those children, or roughly one child out of every 30, currently has a parent in state or federal prison. The Parenting Inside Out® program is an evidence-based parenting skills training program developed for criminal justice involved parents. The prison version is appropriate for both incarcerated mothers and incarcerated fathers who are parenting from prison. The community version is appropriate for parents on parole or probation or parents with a history of substance abuse or involvement with the child welfare system. 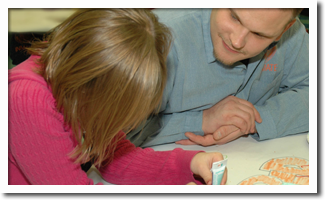 As part of a reentry program, Parenting Inside Out has a proven impact on reducing recidivism and criminal behavior, while improving family relationships and parenting skills. Parenting Inside Out has helped thousands of parents rebuild their relationships with their children and families. Parenting Inside Out has been reviewed by SAMSHA and appears on the National Registry of Evidence-based Programs and Practices (NREPP). 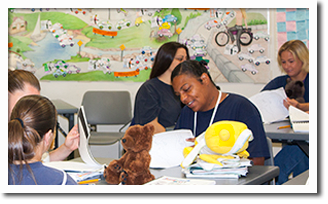 It is the highest rated evidence-based parenting program developed specifically for incarcerated and criminal justice involved parents. The second edition of Parenting Inside Out was published in September 2017 and reflects both new research in trauma-informed interventions and gender-responsive interventions. In addition, it covers parenting topics such as bullying, cyber safety, and age-appropriate media use that have become important in the last several years.